The S-Corp Reasonable Compensation Report provides a defensible position to an IRS challenge, and is an excellent planning and valuation tool. Upon purchase you will receive a link to complete a survey for your business. The report will be tailored to the answers you provide in the survey. Stop guessing! Don’t get caught using the wrong salary information. 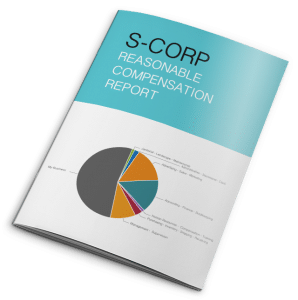 The S-Corp Reasonable Compensation Report synthesizes a proprietary blend of IRS criteria, Court Rulings, geographic data and a database of wages to accurately assess Reasonable Compensation for S-Corp and Small Business Owners.